GettyShari Redstone is one of the most prominent female media executives in America. Shari Redstone is one of the most prominent female media executives in America. She still faces surprising misogyny and harassment in the workplace, according to a new book by a Wall Street Journal reporter. An adapted book excerpt and a lawsuit filed by Redstone say a CBS director once grabbed Redstone’s face and acted in a bullying manner. 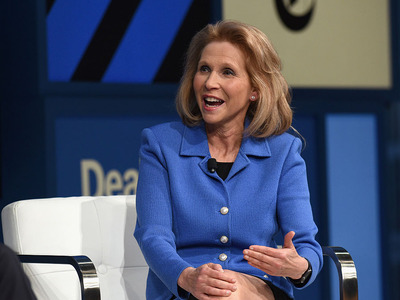 As vice chair of CBS Corporation and Viacom and president of National Amusements, Shari Redstone is one of the most prominent female media executives in America. In her book, Hagey describes the misogyny and harassment Redstone says she has faced over her decades-long career in the media business. As one example, Redstone says she had a problematic interaction with the CBS Corp. director Charles Gifford at the Super Bowl in 2017. She filed a lawsuit that said Gifford “acted in an intimidating and bullying manner, including on one occasion by grabbing her face and directing her to listen to him.” Gifford later apologised and said he did the same thing to his daughters when he wanted their attention, the complaint said. But the anecdote in Hagey’s book, which charts Redstone’s career and the falling out she had with her media-mogul father, Sumner Redstone, isn’t the only such allegation. Comparing Redstone to Katherine Graham, the former publisher of The Washington Post, Hagey says both women were disrespected by men in the industry. “Once they got into the boardroom, they were often belittled, talked over and snickered at behind closed doors – in Ms. Redstone’s case, sometimes by her own father,” she wrote. Redstone is one of only a few female executives in an industry dominated by men. Even though she controls a $US30 billion media empire, her success often came at the expense of personal humiliation, according to Hagey. “When her father brought her around the executive offices one day, Viacom’s then-president sarcastically asked Mr. Redstone if it was ‘take-your-daughter-to-work day,'” Hagey wrote. The profile of Redstone comes as she is locked in a heated dispute over the future of CBS and Viacom. CBS filed a lawsuit in May to dilute her preferred stock so she couldn’t make changes to the board and push through a CBS-Viacom deal.